We run flower arranging workshops from our purpose built studio in Barnet, ranging from a two hour Hand Tied Bouquet class to an all day Wedding Workshop. We can arrange individual one to one workshops or cater for up to six people. Workshops can be tailor made to suit your requirements and interests so if you don't see something you like below please call us to discuss. 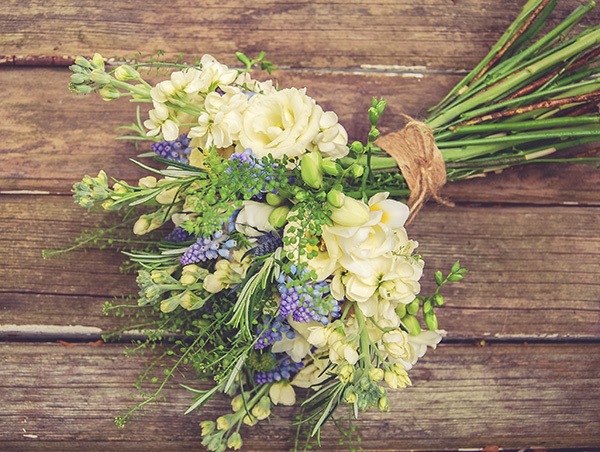 Includes tips and advice on how to condition and look after your blooms, a demonstration on how to tie a bouquet and then you will have a go at creating your own Hand Tie. By the end of the workshop you will take away a fabulous bouquet either for yourself or to give to a loved one (value up to £45). The price includes refreshments as well as the flowers. We provide all necessary equipment while you are with us at the Studio. Learn how to make large scale foam free arrangements for Wedding & Event work. Working as a small group we will look at the mechanics of how to create stunning displays using eco friendly methods. All materials will be supplied and at the end of the session there will be a photographer who will photograph your work for your portfolio. Refreshments included. Please send confirmation of interest via our sign up form and we will email you when dates have been confirmed. Suitable for florists or those interested in a career in floristry…….course is subject to a minimum of 6 people……. Create a beautiful winter wreath using an array of foliage, berries, cones and even feathers;; there is something for everyone at this workshop. It doesn’t have to be a Christmas themed wreath and we encourage our students to experiment with different materials to create a unique winter wreath. The workshop includes refreshments and all equipment needed. This is a tailor made workshop. Initially, we will have a meeting with you and your friends to discuss your requirements where we create a moodboard of flowers, arrangements and colours that you like. This will determine what we incorporate into your tailor made class, from buttonholes to table arrangements. The day includes lunch and/or refreshments (depending on length of workshop) as well as all the flowers and equipment you will need for the day. The price and length of the class depends on your requirements. The initial meeting is free (up to one hour). You can decide whether you wish to proceed with the workshop after receiving your quote. The price will depend on the type of flowers, number of flower arrangements and bouquets, and length of course required.